Hello! 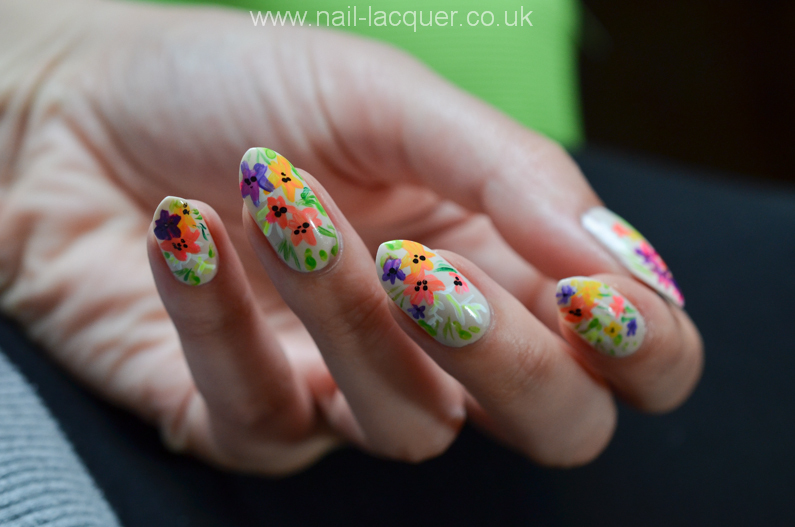 It being the last month of summer I am trying to make the most of it, especially in regards of nail colours and nail art. 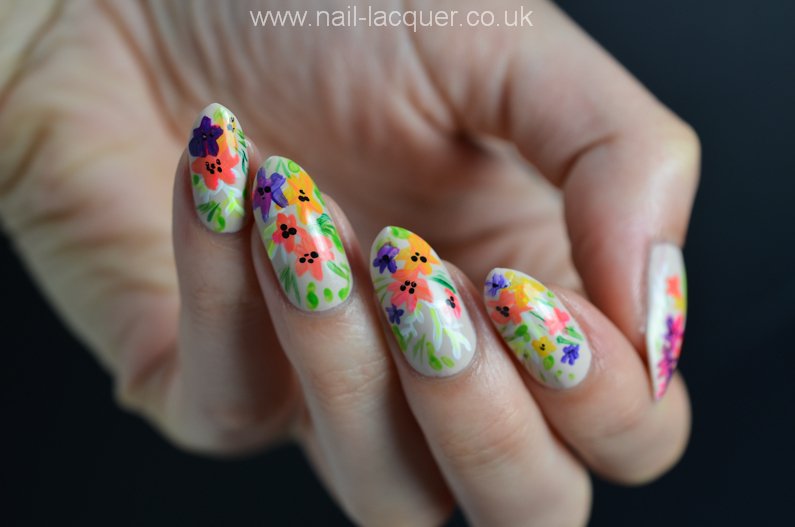 Today’s post shows you my latest summer flowers nail art tutorial. There has been quite a few in the past few weeks (check them out here). 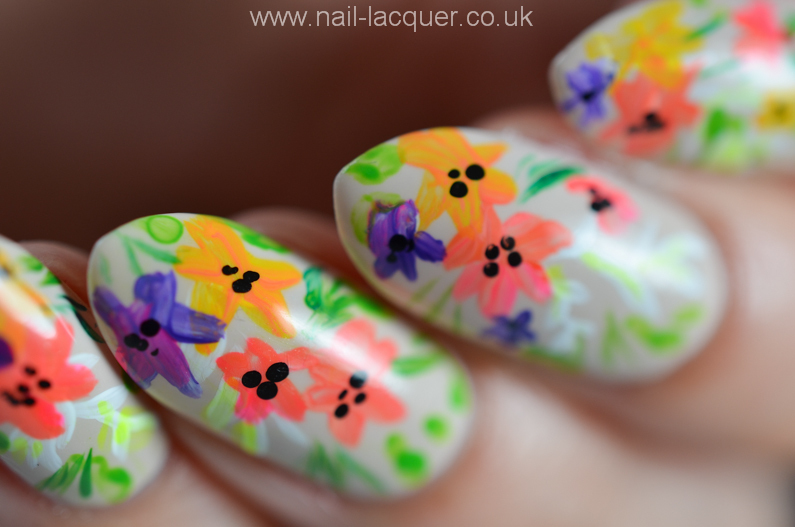 I created this nail art on top of Models Own Naked Glow (see swatches here). It’s a gorgeous beige nail polish with creme finish. For the flowers I used acrylic paints in the colours of white, black, neon pink, neon yellow, yellow, red, purple and light/dark green. As of tools I used Kolinsky size 0 brush and a toothpick. 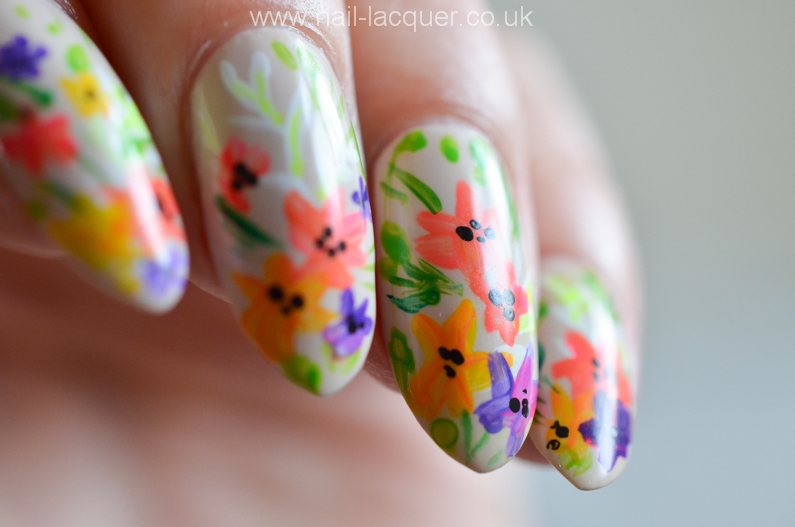 These flowers were so easy to create. It took me about 15 minutes to finish one hand. The video shows everything slightly faster however. 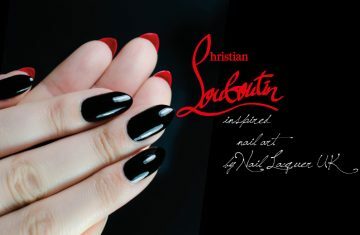 Leave a comment or contact me if you have any questions about this nail art. August 5, 2015 By A.J.